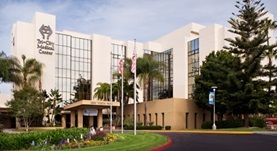 Dr. Gregory Nicpon is a specialist in radiology based in Oceanside, California. He has been in practice for 21 years. Dr. Nicpon graduated in 1996 from the New York Med College. He continued with an internship in internal medicine at St Mary’s Medical Center, followed by a residency stage in radiology at Stanford University, which he completed in 2001 and a fellowship completed in 2002 at the same institution. Dr. Gregory Nicpon is a board-certified specialist in diagnostic radiology. He is licensed to practice medicine in several states. Dr. Nicpon also contributed to a published study that focused on medical comorbidity trends and surgical approach. 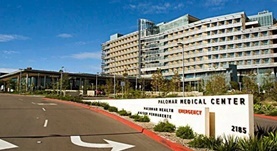 Dr. Nicpon currently collaborates with Palomar Medical Center in Escondido and Tri-City Medical Center in Oceanside. Dr. Gregory Nicpon has contributed to 1 publications. Advanced renovascular hypertension and renal insufficiency: trends in medical comorbidity and surgical approach from 1970 to 1993. Hallett, J. W., Textor, S. C., Kos, P. B., Nicpon, G., Bower, T. C., Cherry, K. J., Gloviczki, P., Pairolero, P. C.; J Vasc Surg. 1995 May.